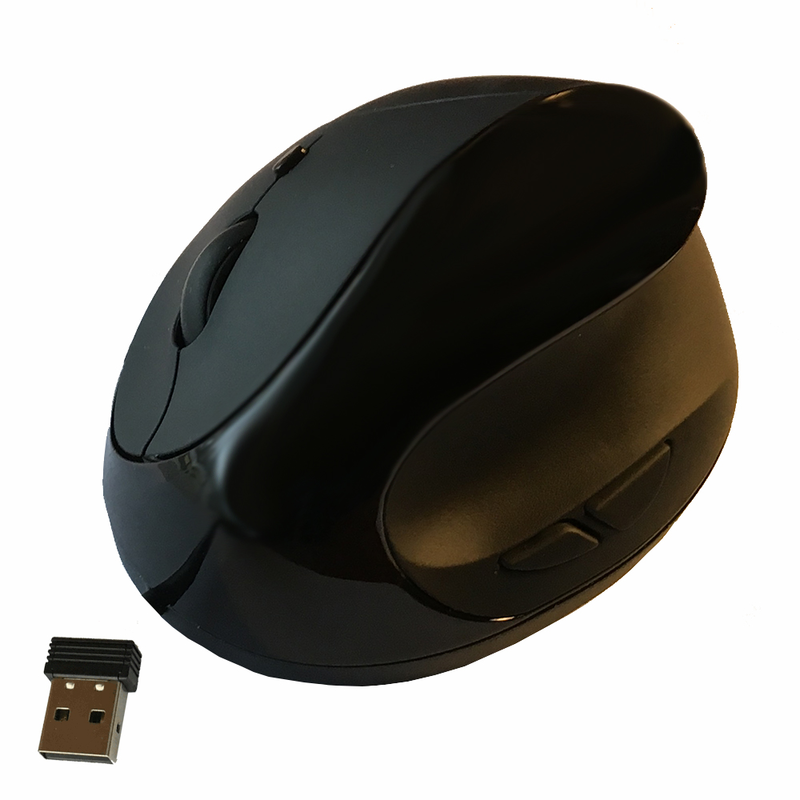 The Comfi II Wireless Computer Mouse is an ergonomically advanced computer mouse with advanced tracking sensors and adjustable dpi resolution. 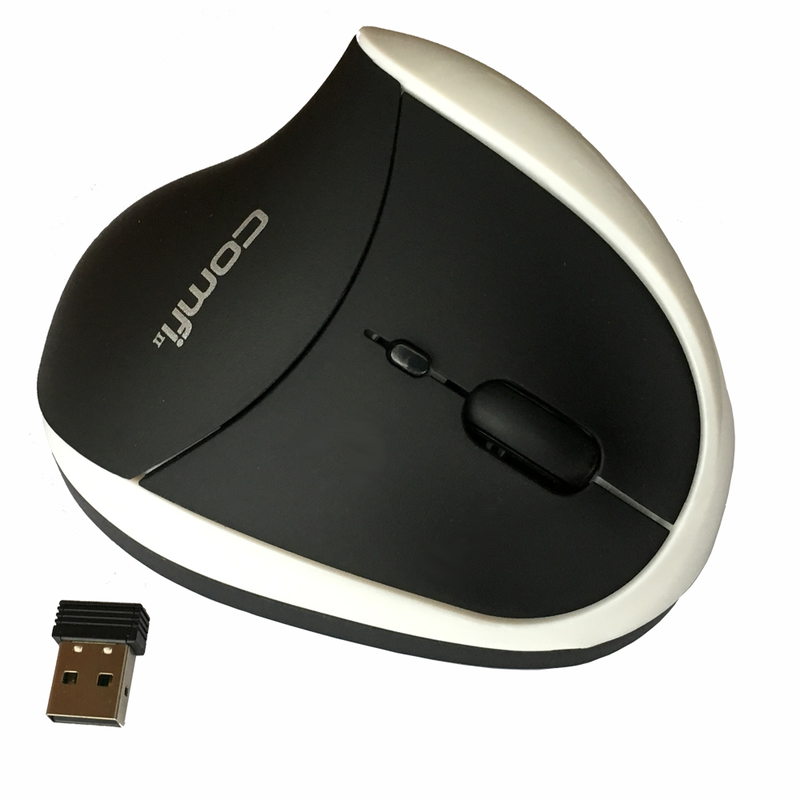 The Comfi II Wireless mouse’s innovative and ergonomic design aligns your hand and wrist to a comfortable and natural position allowing long periods of use without pain or fatigue. 5 mouse buttons: Right and Left Click. Forward, Backward, DPI changer.